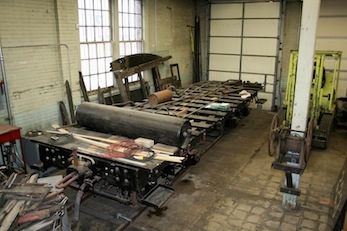 The tender tank drawing replicates the old existing tank and took over four years to generate. Building the tank is taking even longer. Negotiations were concluded with a local steel fabricator to build the water tank but after two years with no progress, the project with them was terminated. 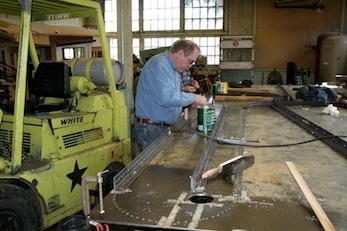 Thus, we decided to build the tank ourselves. 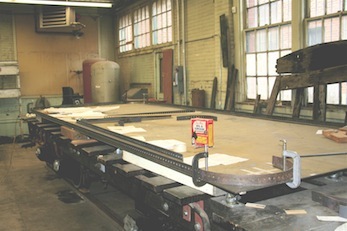 Computer drawing, Statement of Work (SOW) and a Request for Bid (RFQ)for the steel parts were sent to over a dozen steel fabricators in the western part of the United States. After a year of no success, it was decided to hand drill the estimated 9000 holes ourselves. 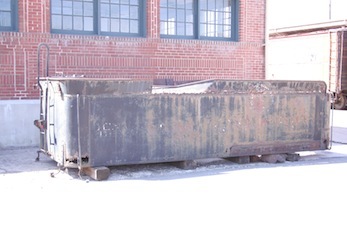 The first steel plate for the tender tank bottom and angle iron for the corner joints was delivered to our shops by Bowman & Kemp in June 2007. Although we have progressed a long way in developing our fabrication capabilities, building a new water tank really stretches our capabilities because of the size and weight of the individual pieces. 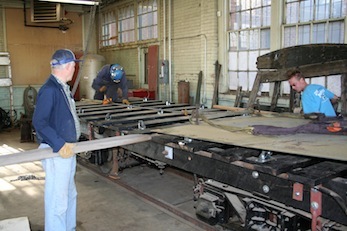 The tank is being built on the tender frame, which eliminates the problem of lifting a completed steel tank. 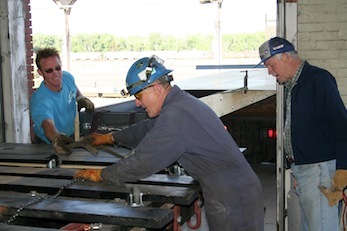 Bob Immergluck of the Western Railway Museum provided us with a much needed package of information on riveting.